LOMA LINDA, CA — January 30, 2018 — The Center for Restorative Neurology at Loma Linda University Health has received recognition as a Certified Treatment Center of Excellence from the ALS Association, a designation that marks the center as one of the select few in the nation that meets the highest standards of evidence-based, multidisciplinary care and services. After working to secure the designation since he joined the department three years ago, Medical director Jeffrey Rosenfeld, MD, PhD, said the center received notification of the designation last month. 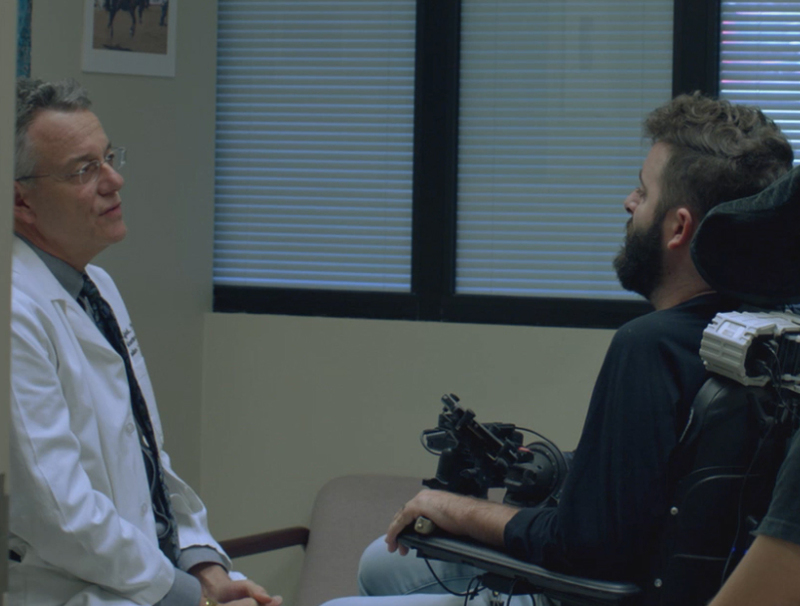 At the center, ALS patients — people with suspected or definite diagnoses of amyotrophic lateral sclerosis, or Lou Gehrig’s disease — can see all their care providers in a single appointment, unlike most treatment programs, which require patients to visit different providers and locations. The convenience of one-stop-care means physicians, physical and occupational therapists, clinical counselors, respiratory therapists, speech pathologists, nutritionists, orthotics professionals and other providers are all located under one roof. “Synergy is the core benefit of our center,” he said. “When your co-workers are all physically next to you, traditional work silos vanish. The brainstorming is phenomenal. According to Rosenfeld, patients at the Center for Restorative Neurology are likely to see 10 individuals during one visit, not all of whom are Loma Linda University Health employees. On any given clinic day there are usually representatives from other support organizations — such as the ALS Association, the Muscular Dystrophy Association or the Myasthenia Gravis Foundation. Rosenfeld has established similar programs throughout his career at other organizations. He brought the philosophy and the program to Loma Linda University Health, largely drawn by the institution’s mission of whole person care. The Center for Restorative Neurology at Loma Linda University Health is one of 58 ALS Association Certified Treatment Centers of Excellence in the United States. The ALS Association is dedicated to fighting the disease, raising funds and promoting research, education, public awareness and appropriate public policy.